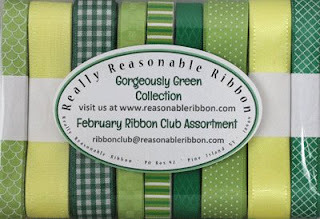 Really Reasonable Ribbon February Ribbon Club collection of gorgeous yellow and green ribbons and some Wild Orchid Craft flowers. I am using the gorgeous 5/8" Satin Swiss Mini Dots Apple Green ribbon on my card today. It has the dots printed on one side of the ribbon and the other side has the solid green which is show above. This is perfect for matching your two ribbons together for a double bow like the one above. Of course, I would not have been able to make this bow without the Zutter Bow-It-All V2 bow maker. I used the 1" Scor-Tape to tape this ribbon on my card. Using the Scor-Tape, I am able to keep my ribbon on the bow in the exact place that I want it to be on the card. Cheery Lynn: Boutique circle, Sophia's Heart Doily, Leaf Flourish die, Ivy Strip, Deco E corner, Horizon Circle Boutique Stacker Frame. Always love to hear from you so please leave a comment. 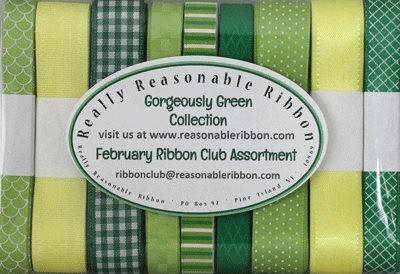 Join us at Really Reasonable Ribbon challenges and also follow us on Facebook. 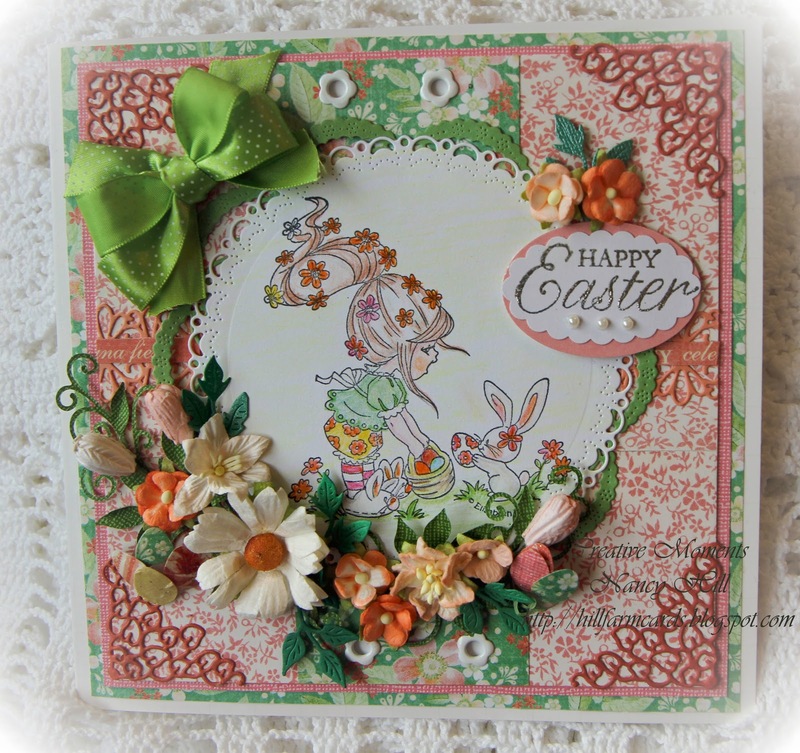 Also if you want to see my next card and projects with ribbon and flowers, follow me on http://hillfarmcards.blogspot.com. Thanks again for stopping by!! !